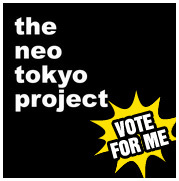 It’s been more than two months, and close to 40 blog posts, and The Neo Tokyo Project’s been chugging along nicely. 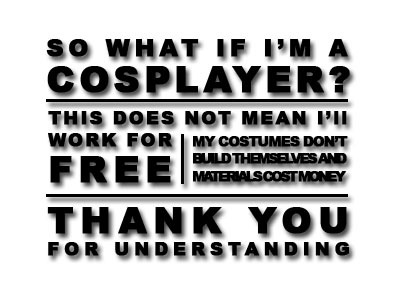 I’ve received some very encouraging comments and email messages, and most of these were requests – for more Asian movie reviews, for more cosplay tips and guides, and more writing know-how in general. So from next week onwards, I’m going to aim for regular columns and features, interspersed with everything else. Monday is gonna be movie day, Tuesday is gonna be all about games, while Wednesday/Thursday’s gonna be about Cosplay and Propmaking. I’ll devote the weekends to writing tips, my academic writings about pop culture, and any other interesting things I might have come across during the week. Until my next article, cheerio! Everyone wants to be a vampire. After the fiasco that was Twilight, being a pretty boy that sparkles in the sun’s kinda the in thing. But if you’re into the undead, and you’ve seen zombie movies, then you’ll know that travesties like Edward Cullen aside, shambling around and going “Braaaaaaaiiiiiiiiiinnnnnnnsssss~!” ain’t half bad. That is, until you come up against gung-ho survivor types and pesky high school kids who refuse to stand still so you can take a chomp outta them. And that’s why So Now You’re a Zombie is such a godsend. I noticed this book at the reservations counter in Ngee Ann City’s Kinokuniya, whilst hunting for a buncha books at its discount sale (which is on from now till the 20th, by the way). It turned out to be a great read, chock full of helpful tips for the fresh zombie, a healthy dose of pop culture references and injokes, as well as digs at 2010’s obsession with the walking dead. (2011, of course, is plagued by its own share of zombies. Just look at Koreha Zombie Desuka, the upcoming survival horror game Dead Island, and well, Minecraft). Man, if only being a zombie were this easy. Suffice to say, So Now You’re a Zombie takes a bite outta self-help books (which tend to appeal to real life zombies anyway), and the end result, with its goofy illustrations, charts and diagrams, is just too funny to pass up. The only thing is, I’m wondering if zombies even know how to read. Definitely a great gift idea for Romero fanboys and peeps who’ve got the Z-bug. Also, a great reference for writers gunning for the whole tongue-in-cheek thing. It’s a parody with brains. Magnetic Poetry, or as I'd like to call it, the Plot-omatic! Don’t you wish that sometimes, when you’re sucking for plot and need a little push to get you started, you can just reach into a grab bag of ideas, and pull something out? Now, with a handy set of magnetic poetry, and some imagination, you can. Here’s a shout out to Yan Sin, who gave me this wondrous item at D&D yesterday, as something of an early birthday present. The minute I opened that smooth metal box, I instantly knew it’d make a really good writer’s tool. It’d also make for a fun game at literary parties, writers’ meets, and creative writing classes, especially if you fancy a more interactive approach to storytelling. 1. Toss your magnetic poetry strips into a container. 2. Give it a good shake! 4. Arrange them to form a character or story blurb! They usually go out with a bang, jump into the gaping maw of a dragon, or get overrun by hordes of icky things from X dimension like the Human Torch in the latest issue of Fantastic Four. I glanced through Issue #587 of course. What self respecting comic lover wouldn’t? But since I’ve never been a big fan of Marvel’s favorite super family, All I’m gonna do is applaud Jonathan Hickman, whose list of writing credits is something I can only dream of emulating, for doing it again. He delivers a powerful finish. Ultimately, this post isn’t just about The Fantastic Four (The Fantastic Three now), or poor Johnny, who bought it in a bad way. Rather, it attempts to dissect another storytelling tool – the death of the hero, as opposed to that of the invincible hero who does no wrong, who cleaves through a thousand orcs a minute, takes down gods with a toothpick, and against all odds, refuses to die. I can count at least two handfuls of writers who are guilty of this crime, of falling in love with their own creations, so much so that they can’t leave well alone and retire Mr. Uber Protagonist when it’s well past time to do so. And R.A. Salvatore, the man behind Drizzt Do’Urden, is arguably the guiltiest of the lot. Drizzt - You don't want your character to be this guy. Drizzt, as everyone who has even remotely touched a fantasy book will know, is a collection of some of the worst tropes in popular literature (he probably invented some of them himself), disguised as a much maligned dark elf trying to make his way through the world. He’s sulky, depressing, and two-dimensional, armed with two magic swords that would cost any other adventurer three arms and five legs (at least according to the Dungeons and Dragons rule books), and yet, when the literary gods of the Forgotten Realms (Oghma, for one) should have smote him for being such an affront to character development, he persists. My point is, a well written character knows when to exit the stage, and a decent author will know when this exit should be. Typically, it’s at the most crucial point in the story – the height of dramatic tension, where the hero’s quest is jeopardized by the appearance of the villain or by overwhelming odds. Just think about it. You’ve got the macguffin, you’ve slain the big, fat, ugly dragon, and you’re about to get the payoff and the girl. And BAM! There’s a double cross, and the BBEG’s really the dude that hired you. Two million henchmen file in, train their guns at you. What do you do? It is at this point that a heroic sacrifice will prove, ultimately, that good triumphs over evil, and make for a poignant, bittersweet victory that sits well with the audience. Johnny, in #587, does this. He punts The Thing through the portal, and takes his place against the hordes of demons that have come calling. Sure, it’s likely he’ll be back in ten issues or twelve. Maybe something magical happened, his death is retconned (like so many other deaths in the Marvel universe) and he’ll be as good as new, but you can’t deny that when he goes down, he goes down in style. Me, however, I prefer my heroes to stay dead. Fantastic Four #587 - That's what I call a last stand. In the real world, death is final. Everyone struggles with their mortality, even heroes. And that’s why it makes their deaths more resonant. So even if you’ve worked a main character up from clueless rube to super sleuth, feel free to let him save the world, and go down with the sinking ship, burning tower, or exploding space station. That’s how your character becomes a legend, and not a bad trope. When you dare to let go. Just, for the love of god, don’t pull a Drizzt, or rely on Deus Ex Machina, or alternate dimensions, and all that jazz. Unless, of course, that hero you’ve created is a cash cow, and your publishers are adamant that you keep him alive so you can rake in the dough. In which case it’s all perfectly legitimate. But can you live with yourself if you do that? Awhile ago, I started a series of free lectures and workshops at *SCAPE, with the express intent of helping up and coming comic book and manga hopefuls prepare their first manuscript. And after almost a full term, and after working with a number of people both on and offline, I’ve come to realize that one of the greatest hurdles many aspiring writers need to overcome is actually one of the earliest and most essential steps in the entire process – that of writing a compelling lead character. In a sense, I was lucky. Having played Dungeons & Dragons for almost two decades, I already had an existing framework I could use to mold story characters. It was easy enough for me to assign a value to the character’s physical and mental attributes, to think of him as somebody with a class, with skills, feats and powers that closely resembled what I wanted to accomplish in the tale. And once I had these things in mind, all that was left to do was to flesh the character out – to put him in a costume, craft a legitimate background, and turn him loose. In fact, many of the characters that populated my worlds were created with this very approach. And since my preferred genres were either traditional or urban fantasy, everything fell into place nicely. Of course, I don’t expect people to pick up Dungeons & Dragons, just so they can use it as a writing tool. The character creation process, however, isn’t too dissimilar to what we, as writers, tend to be accustomed to. Typically, you’ll begin with a concept. When you sit down to write a lead character, there’s a good chance you already have an idea in mind. You should be able to visualize how this character looks like, maybe how he’s dressed, and how he acts. Maybe you’re basing the character off somebody you know, or it’s an idealized version of yourself, or something really radical. You’ll want to pen these things down. Just a sentence or two will do, just to give yourself and your readers the gist of things. You’ll want to follow this up with a longer description about the character. Touch on his costume and appearance, his mannerisms, his likes and dislikes. If you’re a dab hand at drawing, maybe include a character sketch of some sort. Make it a point to describe anything interesting about the character – a scar or tattoo, and how he acquired them, or maybe a favorite scarf, or piece of jewelry. Finally, write a little background. Explore the character’s past. How did he turn out the way you envisioned him? What did he have for breakfast that morning? Anything at all that you think might make your character interesting to the audience. If it’s a fantasy story, you could include a vignette about your character’s coming of age ceremony, a knight’s test, or a stint at the mages’ guild. If it’s something a little more modern, maybe include a short paragraph or two about his family life, or school life. If your character has special powers, don’t forget to talk about that as well. And finally, jot down a list of character goals. What do you want your character to accomplish during the course of the story? How do you want him to grow, and what kind of challenges do you intend for him to overcome? Once you’re done, give the character a good once over, and ask yourself if you’d be interested in reading more about someone like him. If not, then well, it’s back to the drawing board. Keep working at it, and eventually, you’ll have this entire process hard-wired into your system. And when you do, you’ll find that creating characters becomes something that’s almost second nature.